Yes, as far as I can see it, it's too little too late. The fact they're spending $20,000,000 dollars to not only schmooze the Christians (and those with morals) back into their stores, they also plan to keep the transgender toilets wide open for anyone to wander into. So, how is that making anything better? The people that are boycotting Target aren't refusing to shop there because they want private bathrooms. It's because Target is allowing sin and decadence to reign openly in society for all to see (including our precious children) so as to normalize this idiocy. Wasting $20 million dollars when their lack of sales are already lowering their bank account balance is par for the course of those blinded by sin. But then this is to be expected of a company that uplifts Satan. And yes, that dot inside a circle is a symbol for Baal. (Satan) Even the Mason's use it to hide the phallic symbol from plain sight. It's to depict how Baal looking down upon the phallic point (dot in middle) directly from above. And the circle embracing it is both the sign of the universe as well as a sign of embracing Baal and his 'phallic' properties by those displaying it. It's also one of the earliest symbols for the ancient Egyptian hieroglyphic symbols used for their Sun god Ra, Horus or Osirus, in India it's was for Shiva, and finally the Druids use it to represent their supreme god Odin. But think about the self-destructive financial problems that also arise from their blatant blindness. Not only do they have to spend money on educating the public as to where the "safe" bathrooms are, (which only have ONE stall) they also have to remove valuable shelf space for products that make them money so as to cow-tow to Obama's (and Rome's) homosexual agenda. It's a lose lose situation and they just can't see it! 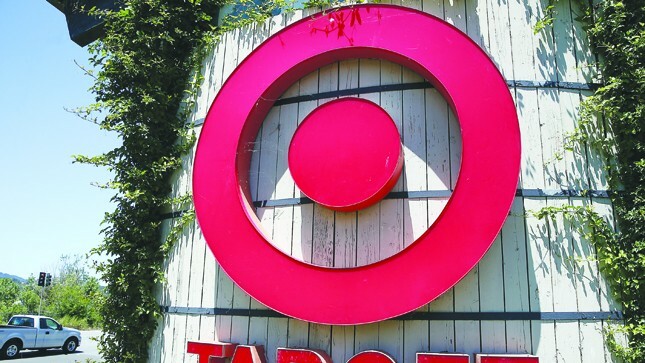 The article also stated, "However, Boylan said Target decided to add single-stall, lockable bathrooms in all of its stores “because we’re listening." No, they're NOT listening. If they were listing the transgender 'approved' bathrooms would be closed. All they're "listening" to is their fading bottom line. But then, there is another more logical bottom line to all this. Those with morals know nothing has changed by their comments to place "private bathrooms" in the stores. We know Target is still going to do all it can to normalize transgenderism even if it means placing a little girl or boy in direct danger of being kidnapped, raped and even killed. So, they can place all sorts of "private bathrooms" in their stores all they want. It won't change the reality that the isles of the store will still be well-populated by transgender men and women looking for easy victims. And those victims are more often than not children. Yes.. all roads lead to Rome even here!